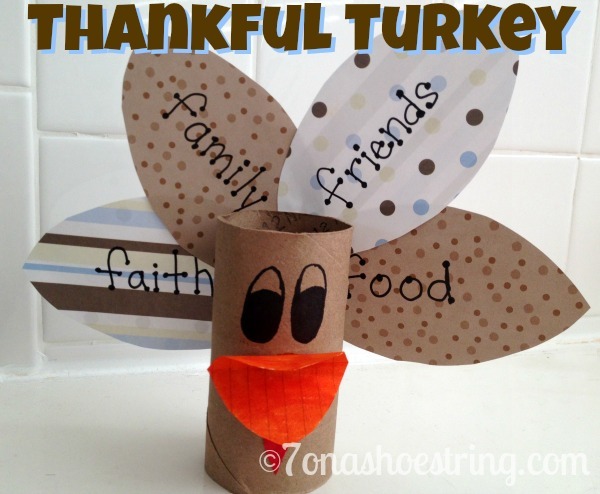 Looking for a simple Thanksgiving craft to do with your kids. I am all about using items we have lying around the house. Therefore, look what we were able to do with an empty toilet paper roll, scrapbook paper, markers, an index card, and some glue. Now that you have the supplies you are ready to go! Cut “feathers” out of the scrapbook paper. And then cut a beak from orange construction paper and a wattle from the red. Draw eyes on your toilet paper roll (or glue on googly eyes, based on preference). Next, have your children come up with things that they are thankful for. It can be people, things, ideas… whatever they want to add. Then simply write each thing on a feather. 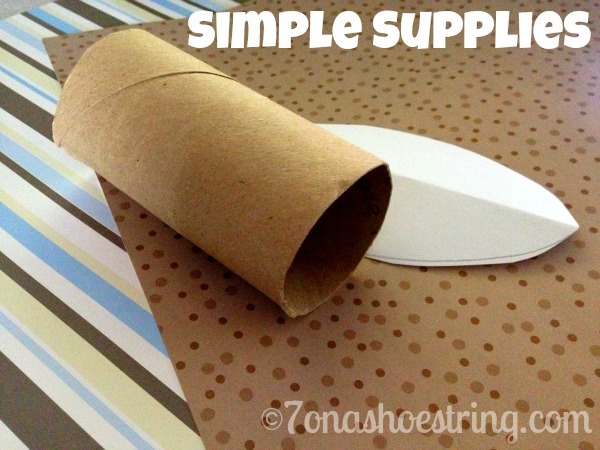 Glue each of the pieces onto the toilet paper roll as shown below. You’re done! You made a Thanksgiving Thankful Turkey and it took no time at all! Plus, the supplies can be found around the house or upcycled. A perfect craft on a cold afternoon. Not to mention, an easy way to teach the kids how to be thankful this Thanksgiving. 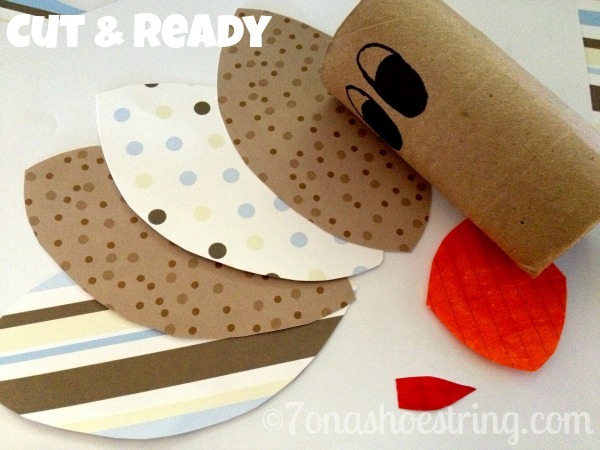 Be sure to check out more fall crafts for kids while you are here!